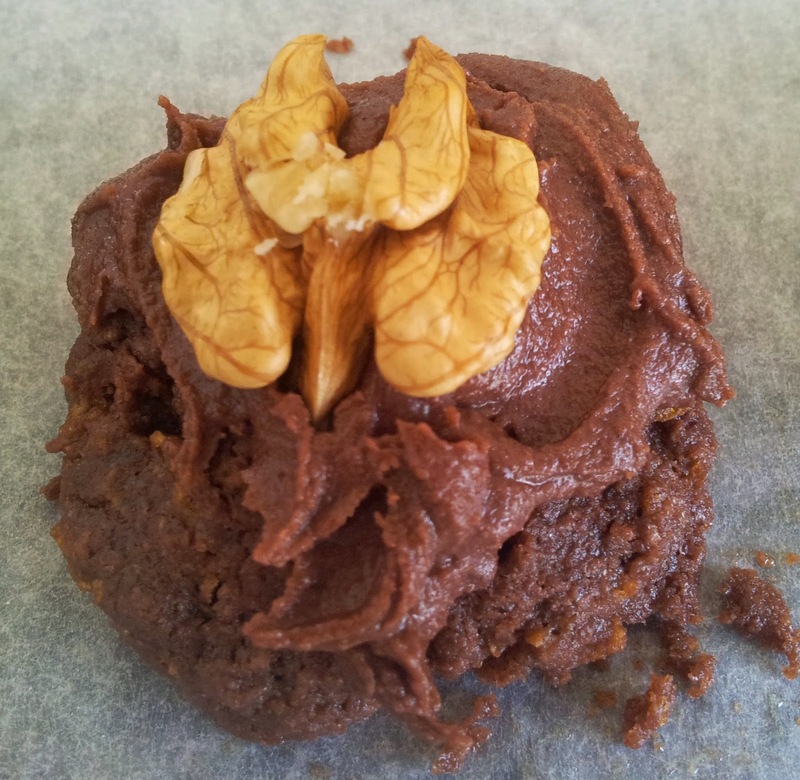 No self respecting Afghan biscuit would be seen without its walnut hat secured into buttery chocolate icing. I just couldn't leave the topic of walnuts topic without mentioning one of my favourite biscuits the Afghan. Why it was called an Afghan I haven't really questioned, until now. The exotic title and walnut top made them a memorable treat for us. As children how we loved opening Mum's baking tin to discover Afghans. Imagine my delight when my sister-in-law Penny offered me an Afghan from the very tin that Mum used to house her Afghans. Within the day the family had swooped in on the tin and Penny's Afghans seemed to disappear overnight. It was also a coincidence because I had in the previous week made my own batch of Afghans. For me a good Afghan must have crunch and when you look at the ingredients and the proportions of butter to flour with no eggs it's easy to recognise that an Afghan is really a chocolate shortbread. And Penny's Afghans certainly passed my crunch and general deliciousness test. this means that each bite contains a taste of walnut. more tha20-30 seconds (depending on the strength of your microwave). Just like making shortbread it's important to really cream the butter and sugar to help create lightness in the biscuit. 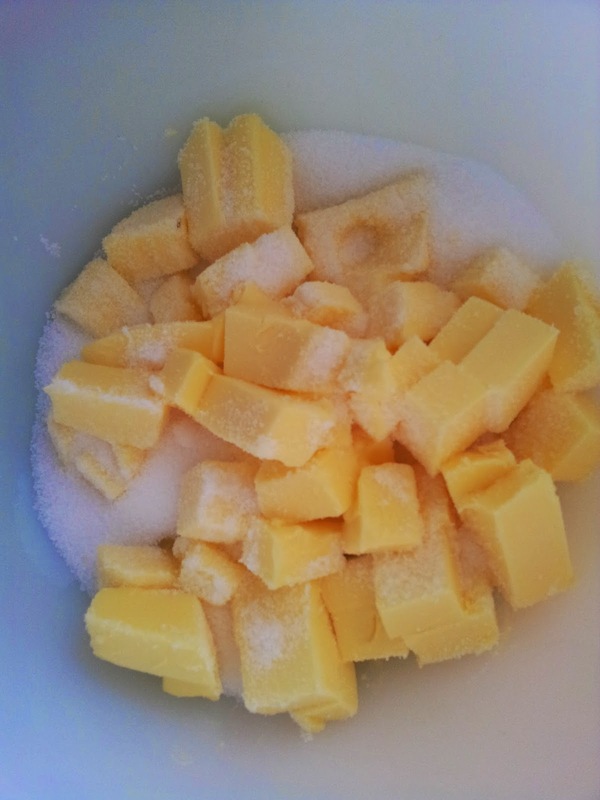 If you want to achieve the cream faster you could use caster sugar instead of standard white sugar - it dissolves faster. Instead of regular cocoa I used the rich dark Dutch cocoa. a little to take into account the cocoa fats present in the Dutch cocoa. 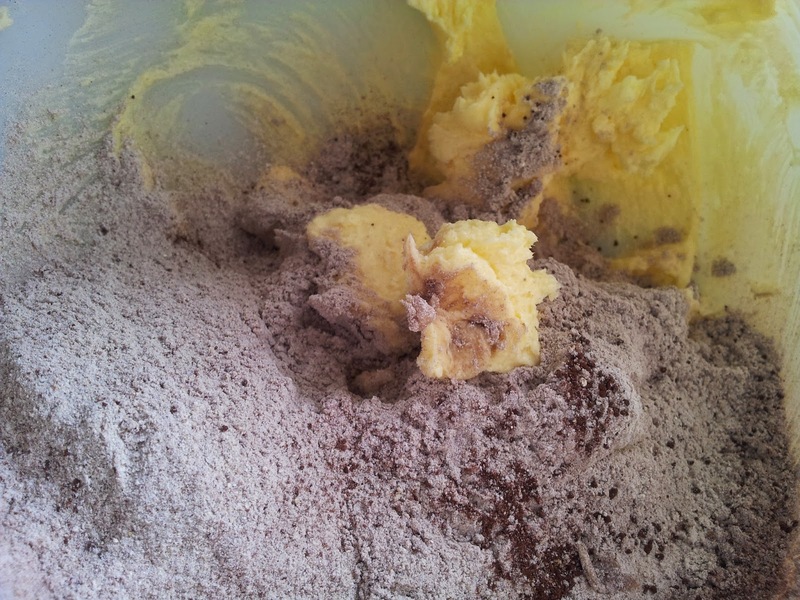 Sift together the flour, cocoa and a pinch of salt and mix into the creamed mixture. A little salt helps to heighten flavour in baking but it's optional. Make spoonful lots and fashion into a ball shape onto a tray covered with baking paper. Now do you flatten or not flatten your Afghan? If you don't flatten your Afghan it's less likely to be crispy and have a flat platform for the icing and walnut. As we don't like a soft textured Afghan Penny and I opt to flatten out our Afghans. You can gently flatten with the back of a spoon. In the Edmonds Cookbook the recipe says to bake at 180 C (350 F) for 15 minutes. As my oven is very hot I cooked mine more like shortbread at 150 C for a little longer - you can smell them once they are cooked and they took around 20 minutes. what what was placed on the tray before cooking. 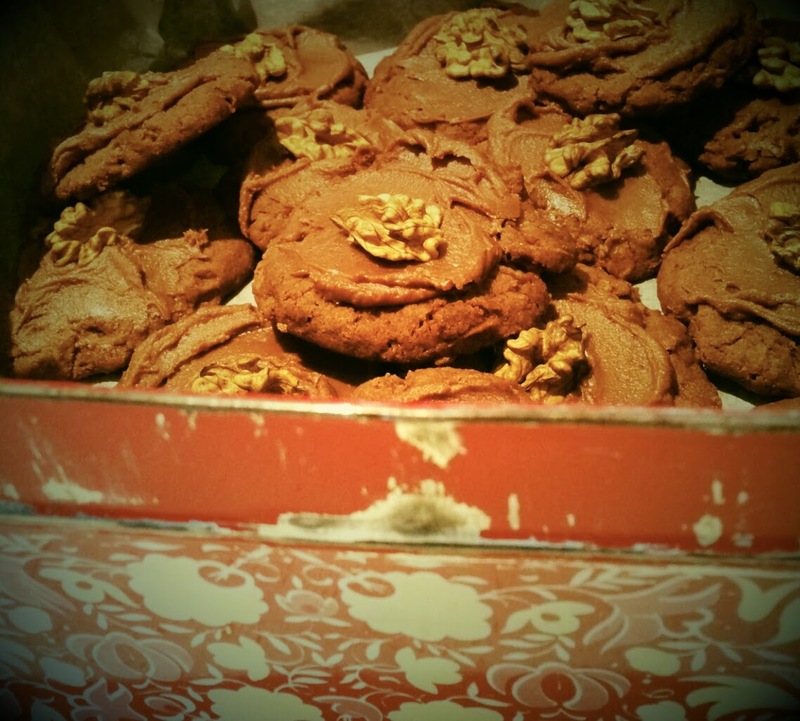 After carefully cracking walnuts to extract walnut halves (Rex variety from Canterbury) it was time for making the icing. 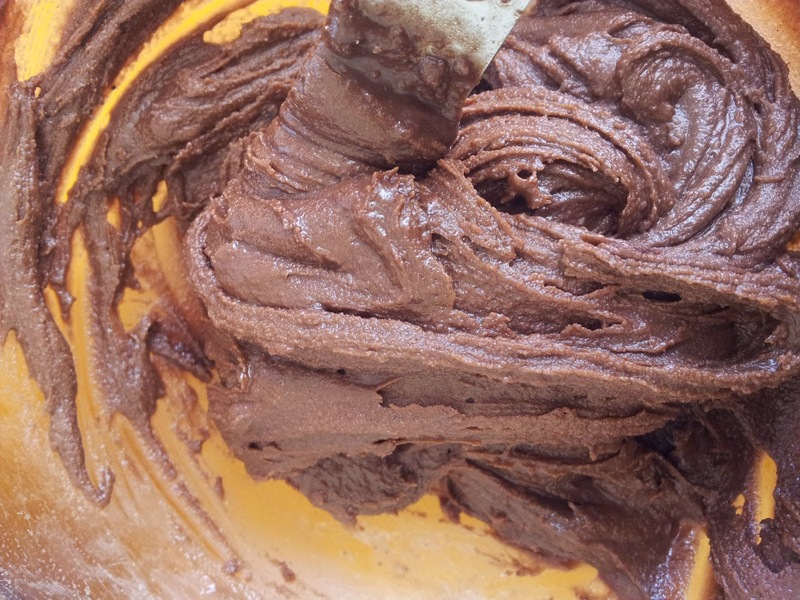 Melt 1-2 Tbsp of butter and sieve together 1 Tbsp of cocoa and 1 cup of icing sugar to get rid of lumps in the icing sugar and cocoa. 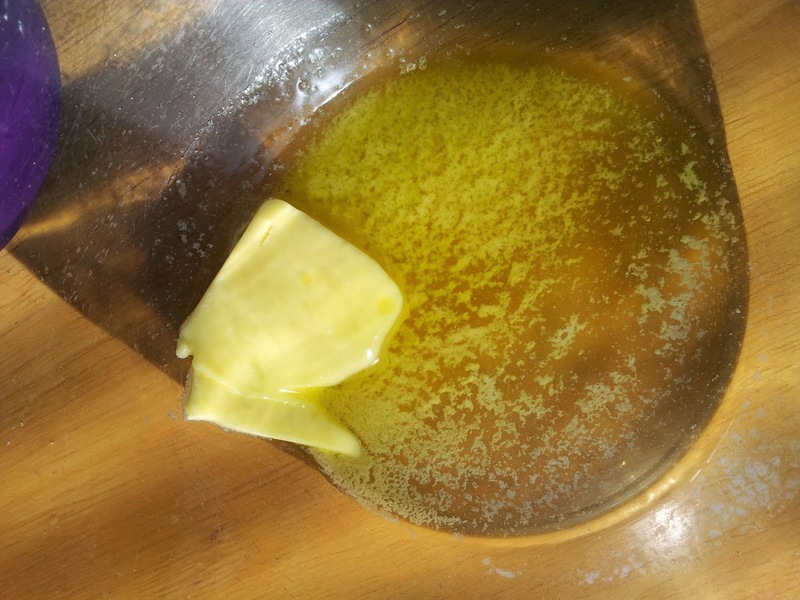 It depends on how much butter you add as to how much milk or water you add to the icing sugar. Icing is best mixed together with a kitchen knife. You want the icing to be soft enough to easily spread. Dipping the spreading knife in hot water also assists in getting the icing spread easily. you can always place pieces of walnut together like a puzzle. 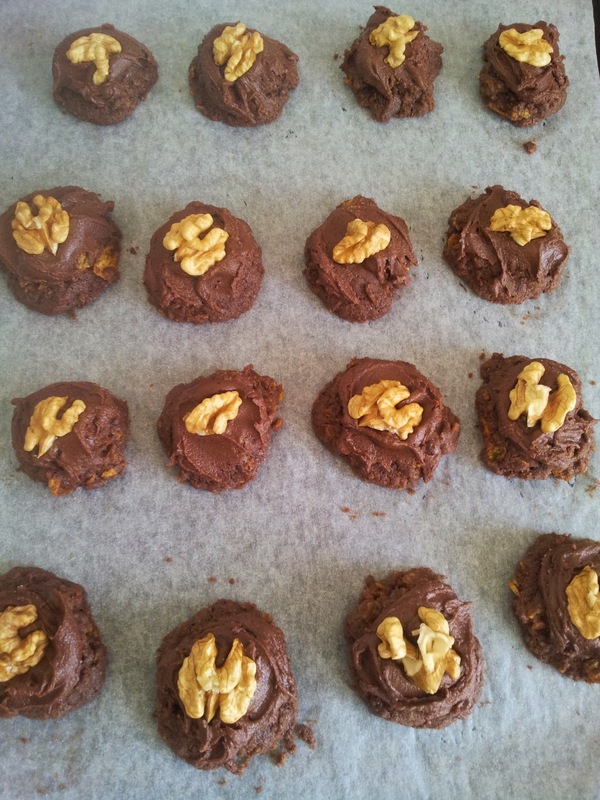 Once iced, place a walnut half in the centre. and treat yourself to the biscuit first created in New Zealand. I now want to know why this biscuit was named Afghan. After some research I find there are a few theories as to the origin of the name. I think I support the theory that the Afghan biscuit was created in New Zealand after 1920 after the Third Anglo-Afghan War in 1919. New Zealand troops were not involved in this short war that resulted in Afghanistan cutting ties with England. The news of this war would have caused a stir in New Zealand after our heavy involvement and losses in World War One. The walnut on top of the swirl of icing could represent the Afghanistan male traditional head dress of a scarf wrapped into a turban. 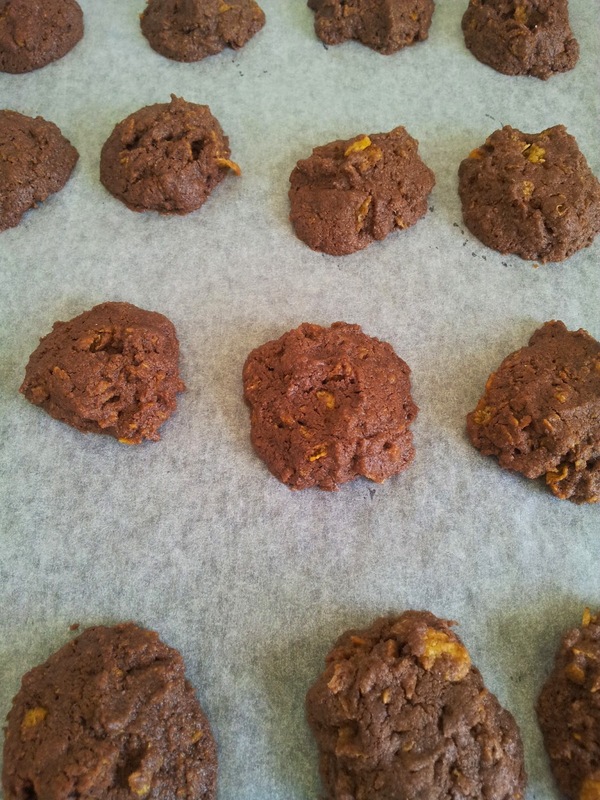 The Afghan did not appear in the Edmonds Sure to Rise Recipe book until after the 1920's and neither were cornflakes introduced to New Zealand before 1920. 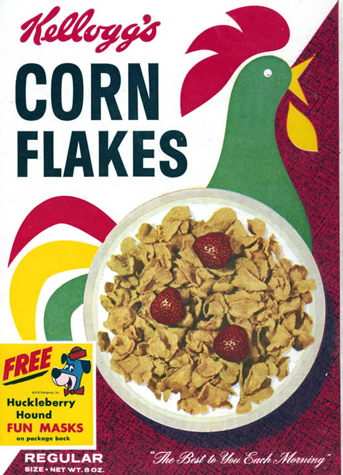 In searching out when Cornflakes were first introduced to New Zealand I unearthed an intriguing story of how Cornflakes came about. the cereal companies gave away toys in each packet. Back in 1893 Dr John Kellog of Michigan, USA, who promoted a vegetarian diet introduced grains to replace meat at breakfast. His brother Will who was the accountant in their partnership left the wheat grain soaking too long so they decided to put the grain through rollers and then baked the flakes to create crunchy flakes. Will believed the product wouldn't take off with the public without the enticement of sugar. They couldn't agree so Will Kellog left and started the company now known as Kellogs, decided to use corn instead of wheat and producing the sweetened Cornflakes we have today. The quality of the finished Afghan depends on the quality of the walnut. 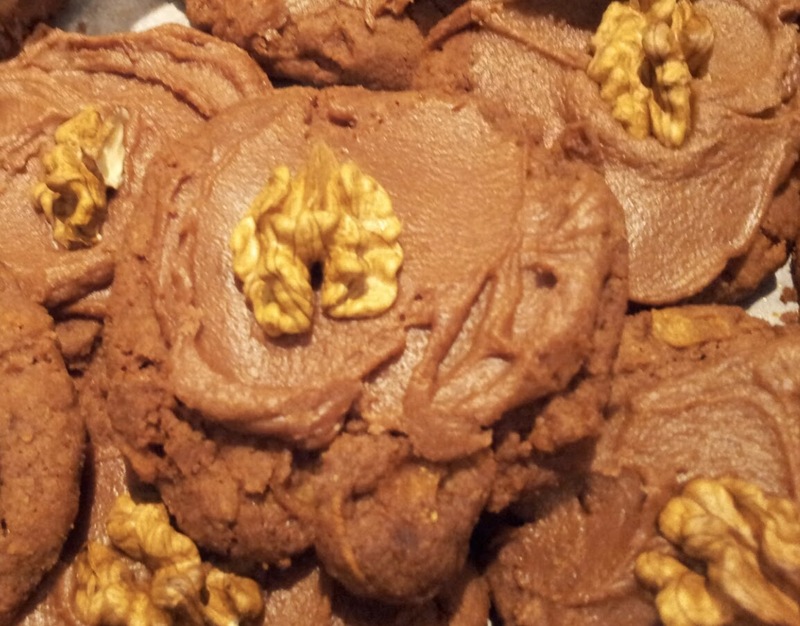 Penny used the large walnuts gathered from the home farm in Southland. 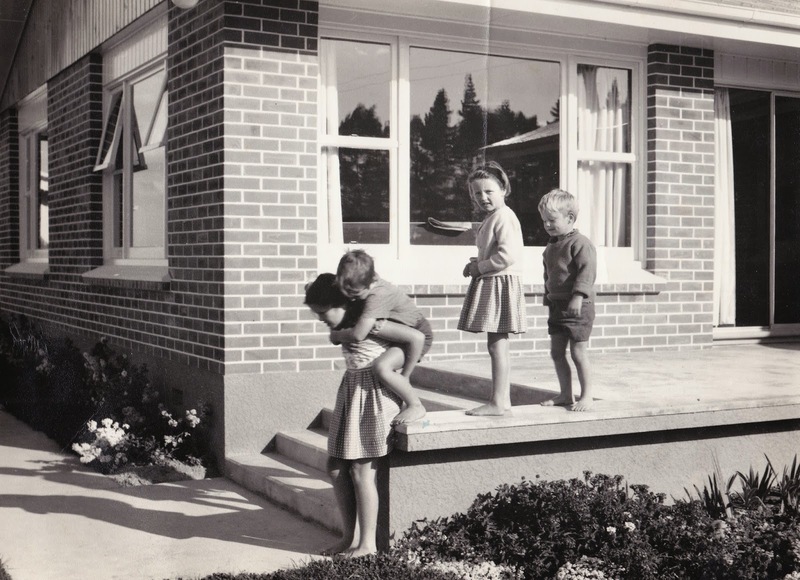 This was me at around 10 years of age giving my brother Jamie a piggyback ride, with Kerry and Don lining up. And this would be when the Walnut tree was first planted at our place. I remember the walnut tree being planted in the middle of the lawn in the mid 1960s. It was thrashed for years by my brother's playing sport and being rough with the lawn mower so Mum moved it. There were no walnuts during the years I lived at home and it wasn't until the 1980's that the large walnuts were harvested. 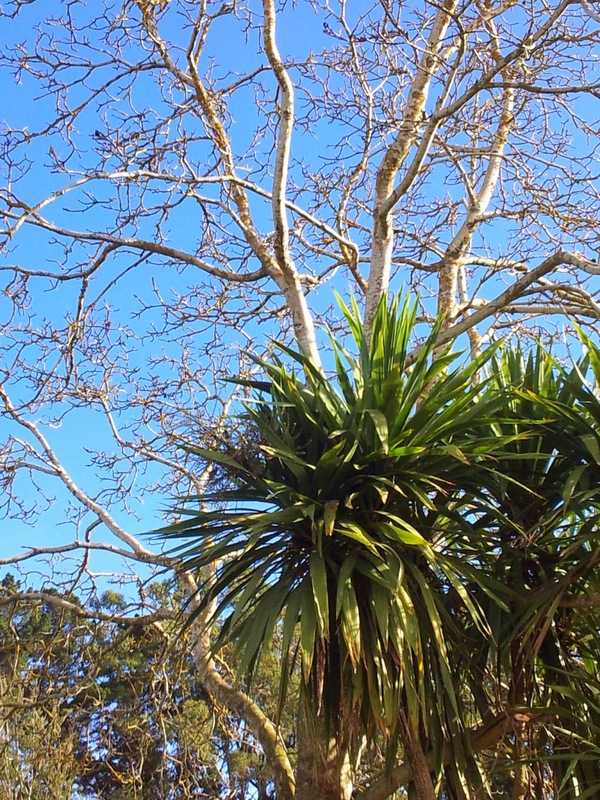 guage the size by the cabbage tree beside it. If you are growing a walnut tree in your home garden or commercially like Valda and Otto Muller from Bannockburn in Central Otago, you have to be patient. When I talked with Valda a couple of years ago I asked her how long it took to produce the walnuts she was selling and she said 20 plus years. I guess it depends on the variety and location as to the harvest timeframe. If you are interested in planting a walnut then the Treecrops Assn Walnut Growing Guide is a good first step. Visit the Otago Farmers Market in Dunedin around autumn and you may meet Valda selling walnuts and her other walnut products. I would advise grabbing some of her Vina or Franquette walnuts. I particularly liked the creamy flavour of the Vina walnuts, and I think they're the nicest walnuts I have tasted. Added bonus is that their shells have a tight seal so are good keepers. The other variety they and other Central Otago growers grow is the Franquette walnut. This is a very old variety grown in France since the 18th Century. They can endure colder growing conditions and are reputed to have an element of butterscotch and sweetness that is unique. Otto and Valda chose to grow walnuts because in the shell they can keep for longer than other nuts, and once established can take the cold of Central Otago. 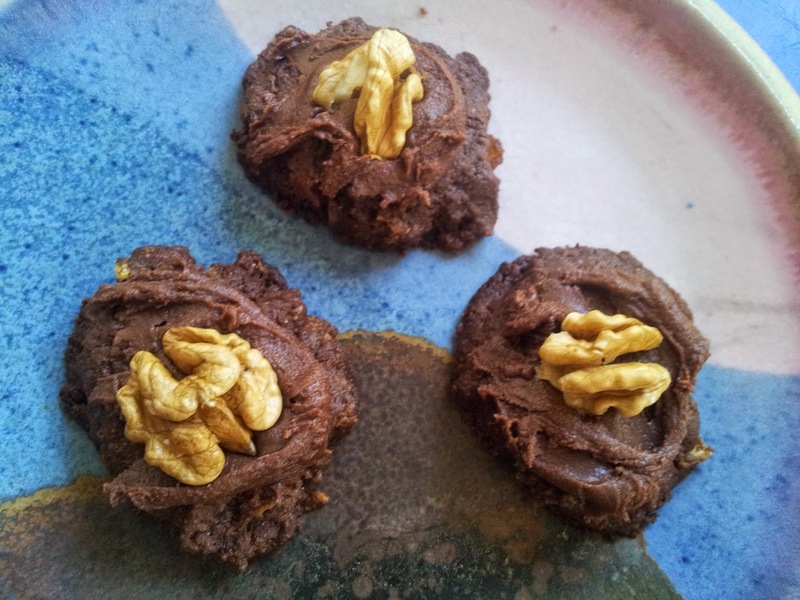 They were also their first choice because of walnut's wonderful health properties. Otto at 90 is still farming walnuts as well as inventing labour saving harvesting machines. Otto is the perfect advertisement for the health properties of the walnut. would have 5 tsp sugar. The good thing about home baking is that you know exactly how much fat and sugar you using to create a sweet treat like Afghans. 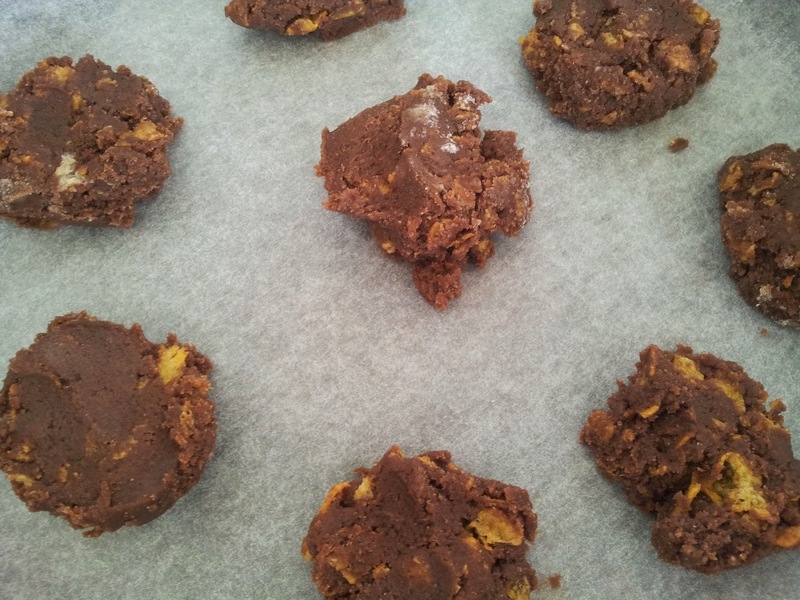 They are a truly kiwi biscuit with a puzzling name that takes time to make and as both Penny and I discovered no time at all to disappear from the baking tin.